A few weeks ago Natalie secretly arranged a surprise visit from my mother for my Birthday. I was in our basement working on a Mitchell’s Journey video for December when she called and said, “Hey Chris, someone’s at the door, would you mind getting it for me?” When I ran upstairs, opened the door and saw my mother, my heart melted. I couldn’t imagine a better way to spend a day than with two mothers that I loved with all of my heart. We sat in our living room and talked for a while. Natalie, ever thoughtful and selfless, seemed so happy to give me the gift of memory – for in that moment we were in the middle of making one and my heart was full. I kept looking at the sweet smile on my wife’s face and took this photo. 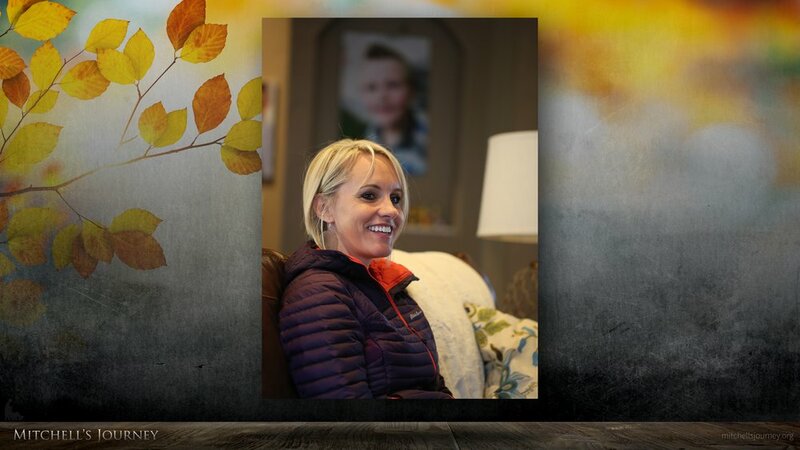 Behind her was a photo of Mitch which seemed a fitting metaphor for this sweet woman. Wherever she goes, Mitch is never far from her heart. On this special day, Natalie and my mother arranged to make an old family recipe – something that has been in our family long before anyone seems to remember. We call it Chili Sauce, but it resembles nothing of traditional chili – not in taste, texture, or purpose. It’s not a meal, it’s a condiment. I remember my mother making that sauce when I was a young boy. Once prepared, it would slowly simmer on the stove all day. When I’d step off the bus from school, I could smell it a block away. By the time I entered our home, the air was rich with aroma. Heaven seemed so near. After bottling, our home would smell of this sauce for days. My mother knew I loved that sauce, and so did Natalie. So, spending time together, making an old family recipe was my gift. Mitch grew to love this sauce, too. In fact, he called it “Grandma Sauce” and always put it on scrambled eggs or toast. 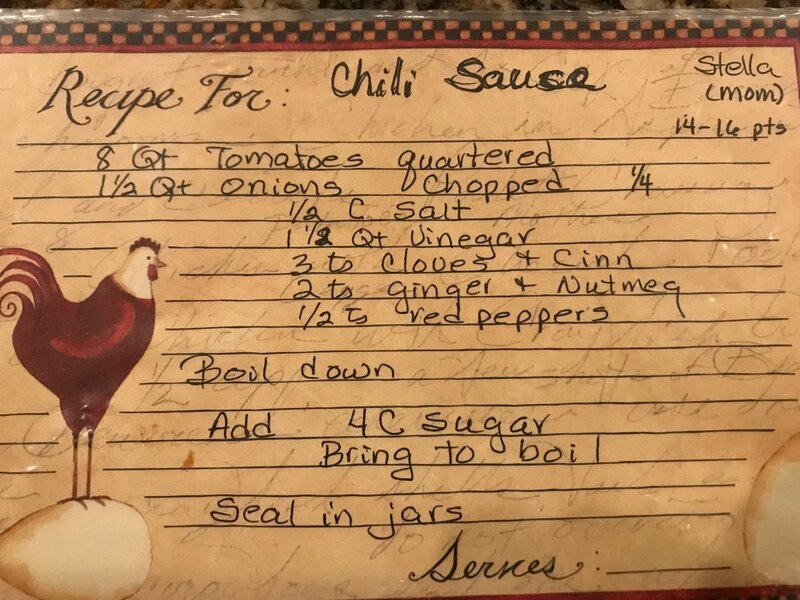 For a few years prior to Mitchell’s passing, it became a tradition for my mother to come to town near my birthday to make this great recipe. You can find this recipe below, for those who want to try it. I haven’t met anyone who didn’t love it. I hope you do, too. As Thanksgiving nears, my heart fills with gratitude as it turns to my mother and the mother of my children … and all mothers everywhere. I’m so grateful for all you do to make this world a better, more caring place. With all the garbage and scandals we see on the news today, I hope society experiences a renaissance ... a fundamental shift … a return to dignity and respect for women everywhere. I always admired the way Mitch loved and honored his mother, and I will spend the rest of my days following his tender, noble example. Click on the image below to open, then print. The boiling of this recipe is my favorite. The aroma is simply amazing.